Our goal is to assist you in getting out of the critical stage utilizing our hands-on skills and other modalities, while educating you so that you can take control of your own health. I have used Dr. Hunsberger for over a year and couldn’t be more thrilled with him!! I have some difficult medical issues due to extreme trauma and have found Dr. Hunsberger kind, considerate and professional . Due to my physical limitations I have gained about 40 kilos. In the past I had issues with doctors not wishing to treat me. I found none of this with Dr. Hunsberger, which was a great relief. He did not treat me with any prejudice what so ever! I also like that he was sportsman. I had been a dance/yoga instructor before I became incapacitated and found him to be wonderful at giving me helpful exercises that have improved my mobility and my quality of life. Even with all my injuries and with Dr. Hunsberger’s help I can still keep up a 15-20 minute yoga routine 5 days a week! I would gladly recommend him to anyone. I came to see Dr Jerry Wright for laser treatment for 2 herniated discs in my back. The level of technical and mental support I received from him was absolutely outstanding. The treatment was solid and it put me back in motion fairly quickly considering my condition. The emotional support he gave me was invaluable and I owe him a debt of gratitude for that. Dr Jerry Wright is an exceptional healer. His style of care giving is truly unique and incredible and this was further evidenced by how he helped my mother with her back issues as well. I would highly recommend Dr Wright to anyone who is in need of a true healer. Chiropractic is based upon the understanding that health depends, in part, upon a normally functioning neuro-musculoskeletal system (nerves, muscles and bones, chiefly in the spinal area. We address these diseases without the use of drugs or surgery. Chiropractic care is used most often to treat complaints including, but not limited to, back pain, neck pain, joint pain in the hands, elbows, shoulders, hips, knees and ankles, sports injuries, pinched nerves and headaches. Yes. Chiropractic care is both safe and effective. Scientific evidence proving that chiropractic care works is overwhelming. Based on these numerous scientific studies, the consensus is that chiropractic care is the treatment of choice for most spinal problems. Chiropractic is widely recognized as one of the safest drug-free, non-invasive therapies available for the treatment of neuro-musculoskeletal complaints. The risk associated with chiropractic care is smaller than that of common pain medications. For example, a study in the American Journal of Gastroenterology, approximately one-third of all hospitalizations and deaths related to gastrointestinal bleeding can be attributed to the use of aspirin or NSAID painkillers like ibuprofen. Our chiropractors are educated as primary contact health care practitioners, just like your family physician, optometrist or dentist but with a specific emphasis on musculoskeletal diagnosis and treatment. The typical chiropractor will have at least 7 years of post-secondary education, with the chiropractic curriculum comprising 4 years of intense classroom, laboratory and clinical education. Our chiropractors typically use their hands to manipulate the joints of the body, particularly the spine, in order to reduce pain, and restore or enhance joint function. Chiropractic manipulation is a highly controlled procedure that rarely causes discomfort. Treatment often includes soft tissue therapy, modalities, rehabilitative stretches and exercises. No, a patient does not need referral by an MD before visiting a doctor of chiropractic. Our chiropractors are primary contact physicians, and are so defined in provincial and federal regulations. Following a consultation and examination, the doctor of chiropractic will arrive at a diagnosis and treatment plan, or refer the patient to the appropriate health care provider. The majority of all insured Canadian workers have some coverage for chiropractic services in their extended health care plans. Chiropractic is partially covered by MSP for those who are on Premium Assistance and by ICBC or WCB for those who have a valid claim. Our chiropractors will conduct a thorough history of your current complaint, previous treatment, and relevant medical history. A full physical examination will be performed, including nerve and muscle testing and a comprehensive spinal examination. A treatment will usually be given, followed by home exercises. On the second visit, your chiropractor will take the time to discuss with you your diagnosis, your home exercise program and your treatment plan. Can I Get an Appointment the Same Day? 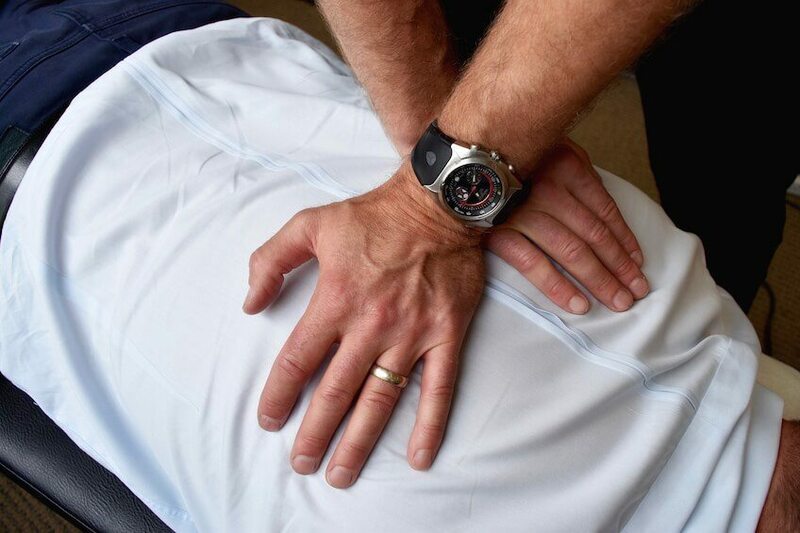 Our chiropractors have a policy of holding several appointments each day for emergency or last-minute patients. We will always attempt to accommodate your health needs. Booking in advance, however, assures that you will secure the time that is most convenient for you. Do You Accept ICBC/WCB Claims and Do I Need a Referral To See a Chiropractor? Yes, we accept ICBC/WCB claims, please bring your claim number to your appointment. No, you don’t need a referral to see a Chiropractor. We are primary care physicians. Reach for Relief. Book Your Session Now.